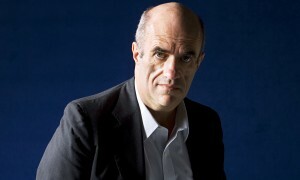 Colm Toibin was born in Enniscorthy, Co. Wexford in 1955. He studied at University College Dublin and lived Barcelona between 1975 and 1978, during his time in Barcelona he produced two book the South and Homeage to Barcelona. When he returned to Ireland in 1978 he worked as a journalist for In Dublin, Hibernia and the Sunday Tribune. During 1985 he travelled in Africa and South America. His journalism from 1980s was collected in The Trial of the Generals. His other work as a journalist and travel writer includes Bad Blood , A Walk Along the Irish Border, The Sign of the Cross and Travels in Catholic Europe. He has continued to work as a journalist, both in Ireland and abroad, writing for the London Review of Books among other publications. Tóibín’s work explores several main lines the depiction of Irish society, living abroad, the process of creativity, and the preservation of a personal identity. The Wexford novels, The Heather Blazing and The Blackwater Lightship, use Enniscorthy, the town of Tóibín’s birth, as narrative material, together with the history of Ireland and the death of his father. An autobiographical account and reflection on this episode can be found in the non-fiction book, The Sign of the Cross. In 2009 he published Brooklyn, a tale of a woman emigrating to Brooklyn from Enniscorthy. In my novel Brooklyn when the young Eilis Lacey and her friend’s go to a dance in the early 1950s they go to the Athanaeum. The town she inhibits is a town before supermarkets, it was also a town like most Irish towns that had a legacy of emigration spanning a hundred years, as almost every family in every generation in Enniscorthy had members in England and US. You could notice the difference between who were from England and those who were from America. Emigrants home from England were low Key and those who returned from America showed that they had a fortune. All this happened on the streets of Ennsicorthy in the summer but in the winter the town went back to being itself. Some months before filming of the Brooklyn I had lunch with John Crowley who was to direct the film I noticed how patient he seemed and quiet spoken but I also realised that he had other things on his mind and that was me wanting the Enniscorthy scenes to be shot in the town itself. When they told me soon afterwards that they were going to shoot Ennsicorthy scenes in the very streets where they happened I wondered if they knew what this meant it meant that that Athenaeum would be re-opened, the wedding scene would be shot in the Cathedral where I attended masses through my childhood and they would shoot the scenes where Eilis walks through the town first as a young Irishwomen and then as a returned emigrant in the very John street and Court street. The town is given a glamour and sometimes a sort of darkness in the film but more than anything it seems real, exact and true. In the film Brooklyn Enniscorthy is transformed but it is also captured. It is easy then to imagine a girl coming home from America in the early 1950s suddenly seeming different and easy to see her mother in a house in Court Street wanting her to stay and easy to imagine then the pull between two places between a job in Brooklyn and a job in Enniscorthy, between the beach at Curracole on a warm summer Sunday and the beach at Coney Island.